Salem, OR—Oregonians who buy health insurance through HealthCare.gov have extra time—but not much—to choose a plan and have coverage start on January 1, 2017. Monday, December 19 at 11:59 p.m. PST is the new deadline. The best time to shop for a plan at HealthCare.gov is now. Oregonians can sign up, renew, or change their health insurance plans. Most consumers who already have insurance through HealthCare.gov or directly through an insurance company will be re-enrolled in their same plan if they do not act by the deadline. “Comparing plans, whether you were covered last year or not, will help make sure the plan you get is the one that's best for you and your budget,” said Berri Leslie, administrator of Oregon's Health Insurance Marketplace. 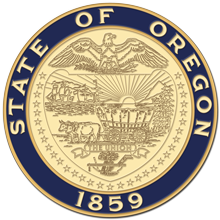 The Oregon Health Insurance Marketplace is part of the Department of Consumer and Business Services, Oregon's largest business regulatory and consumer protection agency. Visit www.dcbs.oregon.gov. Follow DCBS on Twitter: http://twitter.com/OregonDCBS. Receive consumer help and information on insurance, mortgages, investments, workplace safety, and more.